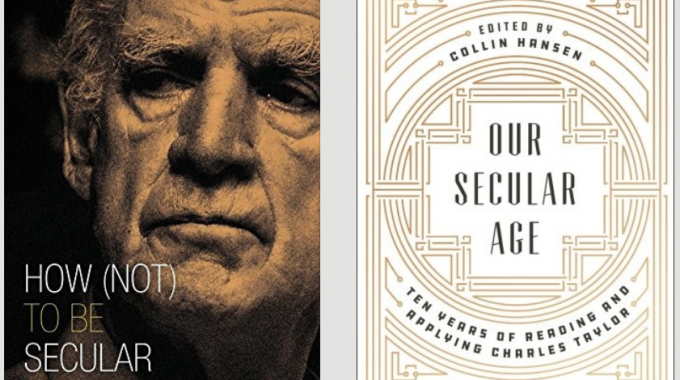 To date there have been two principal attempts to make Charles Taylor’s A Secular Age more accessible to the general reader. In How (Not) to Be Secular, philosopher James K.A. Smith presents Taylor’s magnum opus as a three-dimensional map for “thecomplex and complicated terrain ofour secular age” (p.3). Recognising that a map that runs to some 800 pages of dense historical narrative and philosophical analysis is hardly accessible to the masses, Smith attempts to “make Taylor’s analysis accessible to a wide array of ‘practitioners’… artists or entrepreneurs, screenwriters or design consultants, baristas or political staffers… ministers, pastors, church planters and social workers” (pp.x-xi). Smith does an admirable job of condensing Taylor’s arguments and explaining them in readable prose. There are extended treatments of Taylor’s key concepts: “secular”, disenchantment and the “buffered” Modern Self, Reform, the malaise of Immanence, Cross- Pressures and the Age of Authenticity. Yet it is only in the final ten pages that Smith begins to make clear whyTaylor’s work is so important. Our secular age is cross pressured (“caught between an echo of transcendence and the drive toward immanentization” (p.140) with respect to meaning, time and death. Exclusive humanism is restless because it ishaunted by transcendence: “the sensethat there is something more pressesin” (Taylor, p.727). Smith’s three-pageglossary of Taylor’s technical terms andphrases is worth the price of the book alone. If Smith is a condensation of Taylor, Hansen is an exposition. In Our Secular Age, thirteen different authors explore the relevance of Taylor’s insights for the life and mission of the church, but also for the arts, politics, medicine and popular culture. Written from a broadly Reformed perspective it is perhaps unsurprising that in one of the chapters there is an extended critiqueof Taylor’s (Roman Catholic) take onthe Reformation, but the overallimpression is that Taylor’s work hashelped Christian thinking across a broad range of disciplines. The authors engage with Taylor generously, but they also highlight some gaps in Taylor’s analysis. Perhaps the most penetrating is Carl Trueman’s chapter which observes that Taylor’s story of the secular age is missing key influences, namely the impact of technology, mass media and Edward Bernays’ transformation of advertising: “Bernays helped make a world where the same individuals who never darken the door of a church because they are suspicious of authority will line up for days outside of an Apple store to pay an exorbitant sum of money for a minor upgrade to the device they already possess. The absence of Bernays from A Secular Age, along with any major discussion of commercialised popular culture, is a significant gap” (Hansen, p.20). Of the two books here reviewed, Hansen’s is much the easier read, but those who are unfamiliar with Taylor will still find it difficult to follow. Though Smith set out to help baristas, church planters and social workers to engagewith Taylor, I can’t imagine many ofthem doing so. There is still a gap in the market for a Charles Taylor For Dummies! Collin Hansen (ed., 2017) Our Secular Age: Ten Years of Reading and Applying Charles Taylor, Deerfield: The Gospel Coalition.